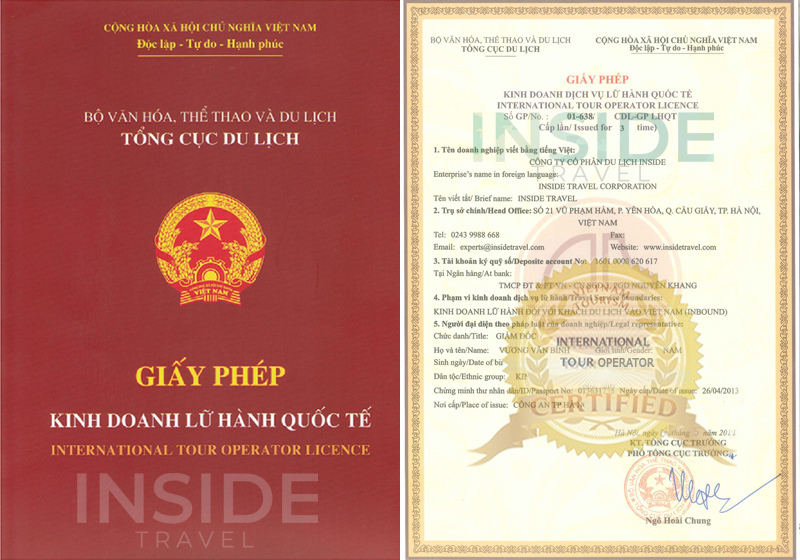 As a way to help us understand more about the service and itinerary, our Vietnam team had an inspection trip on Mon Cheri Cruise on first days of June. Mon Cheri cruise is one of the newest luxurious 5- star Halong bay cruises at Pha Got Harbour, the younger sister of Paloma Cruise. Operated in 2018, the cruise with 18 stylish cabins alongside the elegant restaurant and bars, modern fitness facilities provides 5-star standard services for travelers. It is a perfect blend of the sophistication between the classic European form and the rustic essence of Vietnamese styling. Our first day of the trip started with the pickup from Mon Cheri Cruise office by a luxury minivan (how many seats) from Hanoi to Haiphong. The travel time only took 2 hours with a smooth transfer and about 15 minutes to rest in the service station in Hai Duong. At around 12:00 noon, we arrived the Mon Cheri Cruise Lounge for a rest and waited other passengers coming. When all passengers came, we got on a tender to move about 15 minutes to the place where the cruise anchored in the warm welcoming of the crew. We came to the restaurant which is located on the second floor, took a seat and listened to the staff for a safety lesson and the brief itinerary for the day. While we had a set menu lunch, the cruise was slowly passing through the stone islets and coming to Lan Ha bay. After the lunch, we moved to our cabin and found out that it was very spacious, well decorated in elegant style. Especially, the bathroom was fantastic with new and modern facilities. The private balcony was amazing with a large space for 2 chairs and one table. From here, we could spend hours, just sit and admire the beautiful view of the bay. At 15:30 PM, we transferred by tender to Dark and Bright cave area. Here we had 2 options, exploring by a kayak for a sampan boat. Because Mon Cheri Cruise visited the area in the afternoon, we did not see many other cruises in this time and we did not need to wait for the experience. After that, we came back to the cruise, enjoyed Happy Hour party at bar, admired the sunset and join in a cooking lesson for spring roll. The first day finished with the warm dinner in the traditional music background that was very impressive and different from others. The next morning, after the Tai chi lesson and a long time for the breakfast, we were at Gia Luan Port – Cat Ba island at 9:00 AM. Our guide was Mr. Hoang, the cruise manager. We hopped on a 25-seat bus to transfer to Hospital Cave and enjoyed a historical story of this cave by our guide. 20 minutes after the transfer, we arrived the attraction and spent an hour on it. Mr. Hoang was very friendly and knowledgeable. The boring historical story became more interesting with us when traveling with him. We were back to the cruise for a light brunch with an alacarte menu before checking out and coming back to the Got port at around 12:00 noon. For another 2 hours driving by the luxury van, the trip ended when we reached Hanoi at 14:30 PM. Due to this trip, we had wonderful time on Lan Ha Bay with lovely passengers and staff. We now know and understand deeply about the services and facilities on Mon Cheri Cruise. What an amazing trip on an amazing cruise. You can read more information & find best deals of Mon Cheri Cruise here.